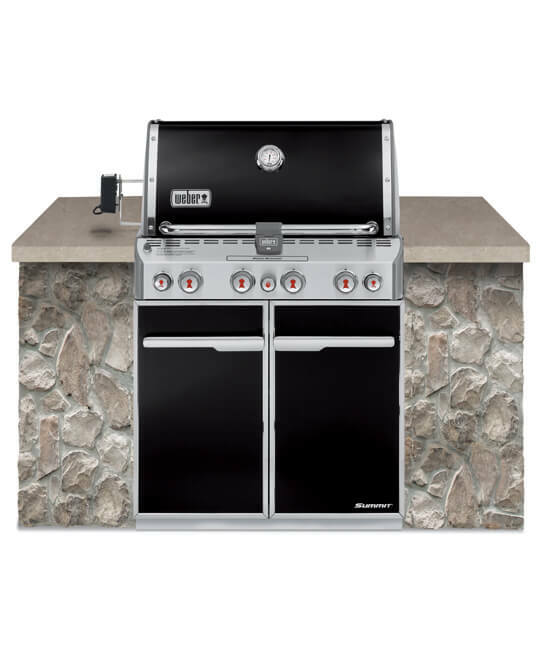 How often do you think you will be cooking on the new BBQ? How many people will you be cooking for – regularly? Do you want to fry, sauté or use a rotisserie? If you want a BBQ that *does a the lot* – you’ll need a big Weber BBQ that can handle it – The Weber Summit range is the one that can do it all – from the stainless steel burners to the Cast iron hotplate, this unit will do it all and includes a smoker box and rotisserie with flip up motor, stainless steel cooking grills, side burner, tool hooks, infrared burner, porcelain enamel hood and doors and even lighted control knobs. The Weber Summit range is available in 4 and 6 burner sizes, both built-in or freestanding configurations. If you are looking to just BBQ some sausages and steaks you don’t need to spend a lot, a small Weber Kettle BBQ will do the job perfectly. These kettle BBQ’s are great for balconies, patios and other small spaces. 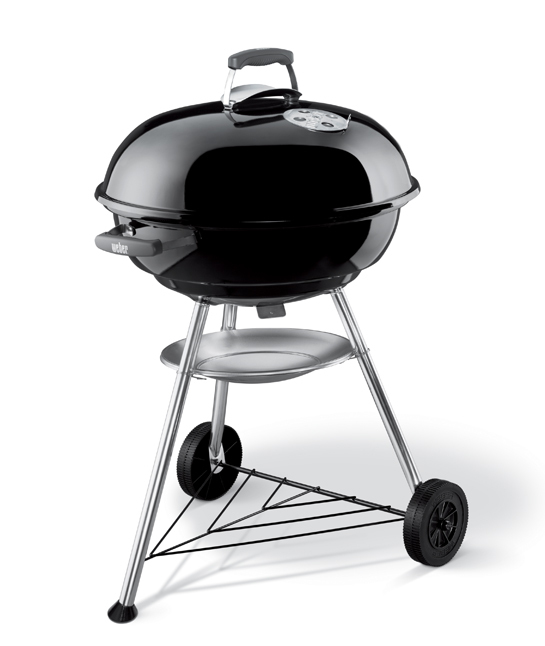 The cart, or body of your BBQ may be made from painted steel, cast aluminium, or stainless steel. Stainless steel looks great, but if you don’t keep it covered when it’s not in use, it can yellow over time. A cast-aluminium body is tough and won’t rust, while painted steel will rust if the paint scratches. When it comes to the grill, cast iron whether it has been porcelain-coated or not does a great job when it comes to retaining heat, so they are perfect for searing meats. To prevent rusting, you must oil uncoated cast iron. Heavy-gauge stainless steel is great as it retains heat, is durable and won’t rust, it is also very easy to keep clean. When it comes to size – generally the bigger the BBQ the more expensive, but if you throw a lot of big parties, you’ll need a big BBQ. If you only entertain occasionally opt for a BBQ with a medium to large grilling area, you can always cook in two *batches* if you need to. Keep in mind if you want a BIG BBQ to handle large numbers, you will also need plenty of preparation area, and you may need a BBQ that includes side warmers and/or warming racks to keep food warm while you are cooking other items. You may also want to consider whether assembly will be required and how difficult this may be. Some BBQ’s are easy to put together, but if the one you are choosing looks difficult – ask about our delivery and assembly options. If you think you may want to cook food on a rotisserie make sure the BBQ you are buying comes with or can accommodate a rotisserie set.